Do you find yourself facing issues like these? Any of these scenarios look familiar? Randi Frank can help! Randi Frank collaborated with other HR pros to write new book. 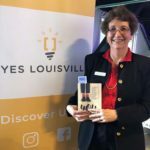 Randi Frank wrote Chapter 6 – “Recruiting the Right Talent for Your Organization” for the book You@Work: Unlocking the Human Potential in the Workplace. $20.00 (includes shipping and handling). As an experienced project manager, Randi Frank can help you complete those administrative and management projects that seem to always simmer on the back burner unfinished. Contact Randi for a courtesy consultation today.